An Offline operation is the Capture operation for a transaction that was processed outside the payment gateway. Step 1: Click on the Offline in the Payments menu. 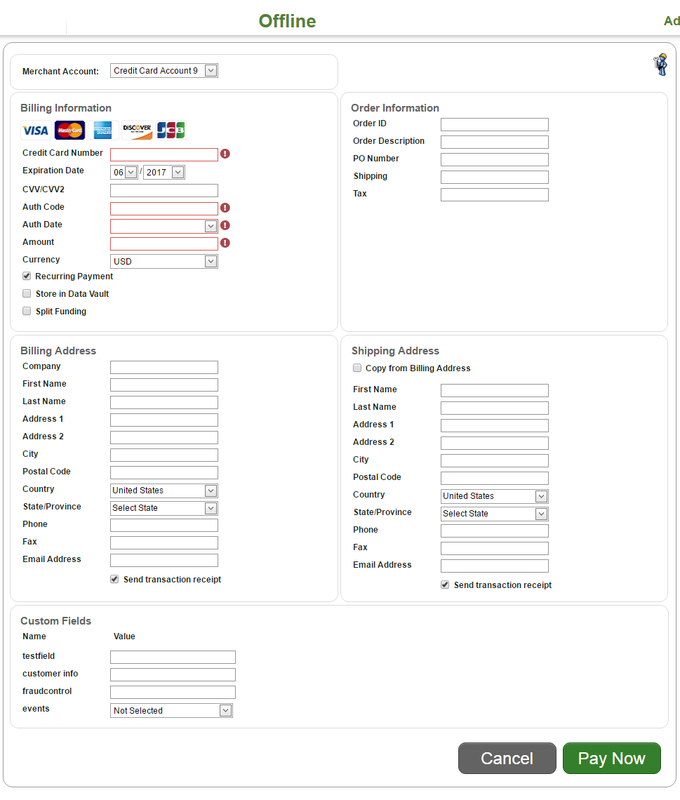 Step 2: Select the merchant account designated for the Capture. Credit Card Number (the digits located on the front of the credit card). Expiration Date (enter the month and year of the credit cards expiration date). CVV/CVV2 (optional 3-4 digit number located on the front or back of the credit card). Auth Code - transaction authorization. Auth Date - date of authorization. 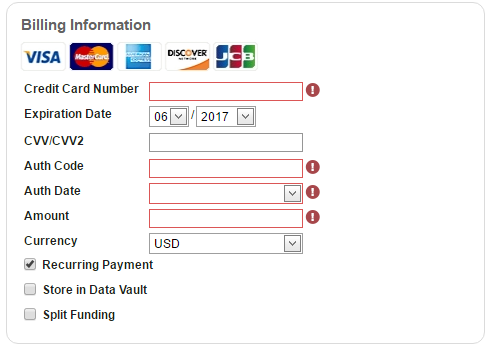 Recurring Payment (check box option). 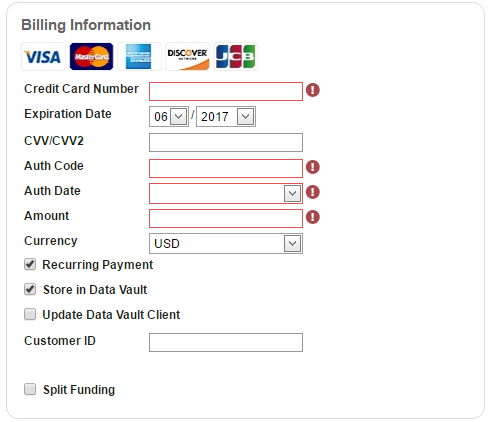 Step 4: Enter Billing Address. Step 5: Enter Order Information if applicable. Step 6: Enter the Shipping Address if applicable. Step 7: Enter Custom Fields if applicable. Step 9: Click Pay Now.